181. NEC AccuSync ASLCD200VX-BK 20"
A large 20-inch display from NEC-Mitsubishi, the LCD200VX provides a sleek, slim design and a number of useful features that are ideal for business and professional applications. A 1,600 x 1,200 maximum resolution and 0.255 mm dot pitch provide clear, accurate onscreen images and allow you to comfortably view multiple application windows at a time. Additionally, the 400:1 contrast ratio and 250 cd/m2 of brightness combine with over 16 million display colors to provide bright, vivid, and true-to-life graphics and text. With wide 160-degree horizontal and vertical viewing angles, multiple people can comfortably view the display while gathered around your monitor. Plus, a fast 16 ms (typical) response time is more than capable of smoothly reproducing motion graphics and video. With ports for both analog and digital signals, the LCD200VX provides connectivity to both standard analog and high-end digital graphics cards. Plug-and-play compatibility makes installing the monitor a snap. The 17.5-by-8.4-inch footprint is remarkably small for a monitor of this size, and VESA wall-mount compatibility lets you use your desktop space for other things. 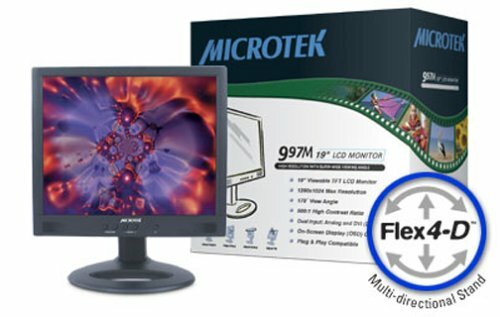 A height-adjustable stand and tilt function provide flexibility in monitor placement, while the AccuColor color control helps to maintain your monitors color accuracy over time. PC and Mac compatible, the LCD200VX comes with a three-year limited warranty. I've always loved the crisp, clear images on NEC monitors...with this one set to 1600 x 1200 resolution...WOW! The Envision EN-7100 combines flat-screen convenience with a tiny footprint, especially designed with modern workspaces in mind. The surface has been treated with an anti-glare hard coat, insuring that every color in your graphics is clearly visible, even in brightly lit locations. Weighing in at just 12 pounds, the sleekly styled EN-7100 unites the best of design and technology. The completely flat 1 7-inch viewing screen supplies a brilliantly clear picture and a larger overall size than that of a typical LCD screen. Standard resolution is 1,280 x 1,024, with a 250 cd/m2 brightness, 300:1 contrast ratio, and 0.26-millimeter horizontal and vertical pixel pitch. Together, these specifications guarantee an exceptionally sharp picture for games, DVDs, and image processing, as well as cleanly legible text on standard documents. 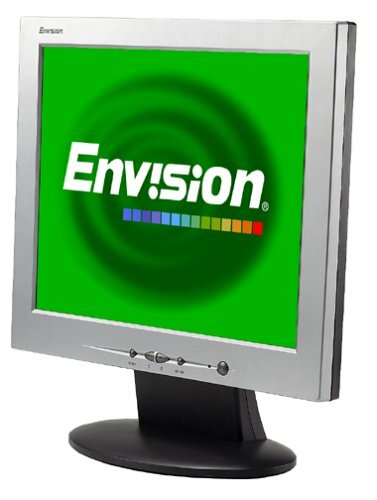 Envision includes a full three-year warranty that covers parts and labor. 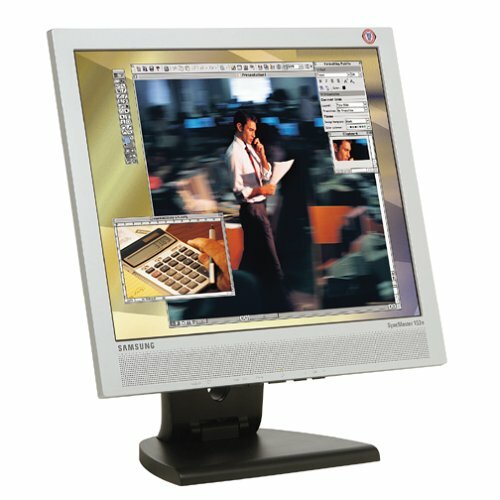 User-friendly buttons on the top of the monitor control basic functions, while an onscreen display system (OSD) offers control of color, positioning, pin-balance, and more. I'm amazed that people buy OEM monitors with their Dell/Gateway computers when something like this is available.CRYSTAL clear and sweet to use all day.This monitor is amazing.We've used it (heavily) for 2 years without a hiccup!Auto-adjust works 100% of the time.Yes, it's $400+ but if this is something you'll be using a lot, it's worth every dime of the $100 premium over lesser monitors. I am not a geek at all.I just love this monitor.It was easy to set up and is bright and easy to read.I would recommend it to persons like myself who just needed to replace their old CRT's and wanted a monitor that took up less space and was easy to see and read.The only problem I have is that I bought this monitor in December of 03 and it came with a $50.00 rebate that I sent to Envision on Dec 18, 2003.I have yet to get my 50 bucks. It is now March 11,2004. If there is a any kind of rebate promised from this company, don't expect it any time soon. This monitor is ok, not a 5 star puchase like most people here said, they haven't seen a Samsung or Viewsonic yet and most of them had been looking at their tiny 15-17 inch CRTs and that's why they were so excited and gave this one 5 stars. 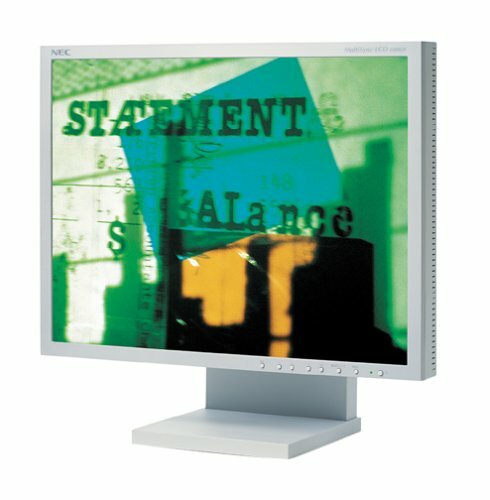 The monitor looked great with static pages and images, right out of the box. But, as I'm a serious gamer as well, I soon realized that I would have to make a return. 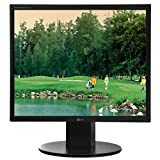 Games simply do not perform well on this monitor at all. With high-speed games, especially, there was a lot of ghosting of images and just poor all-around quality. If you're not a gamer, the monitor is great for the price. But if gaming is a big part ofyour PC experience, look elsewhere. Personally, went back to the big old CRT and, despite the substantial size increase, I'm glad I did. Oh, and as soon as I saw that annoying dead pixel (apparently a common problem here), I also knew I had to make a return. I had no idea that LCD users were expected to live with dead pixels. That seems a bit ridiculous. So, until LCD technology comes up a bit to accomodate perfectionistic gamers like myself, I couldn't recommend this monitor. 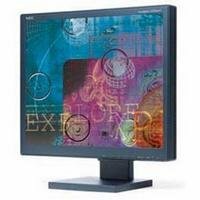 The remarkably versatile 15-inch Sceptre X5sv Gecko LCD monitor provides 3-in-1 performance. 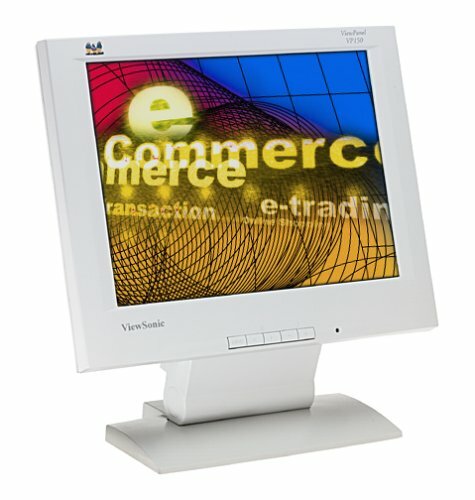 It works as a standard analog monitor and also accepts video and TV broadcast signals so that you can watch the news and work at the same time--it even comes with a remote control. 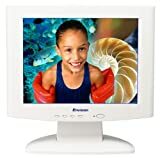 This model features 1,024 x 768 native resolution plus 250 nits of brightness and a 300:1 contrast ratio to ensure that images are clear and bright, from any source. And, the X5sv Gecko features an ultra-fast 7-second response time, so video performance is always smooth and flicker-free. The Sceptre X5sv Gecko features a substantial base design that folds for easy wall mounting. It offers simple front panel controls and a more extensive onscreen menu that lets you fine-tune screen adjustments in your choice of English, German, French, Italian, and Spanish. Audio speakers are housed in the bezel. This monitor comes backed by a one-year warranty. The budget savvy desktop space saver. 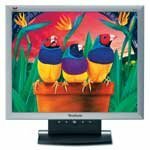 The ViewSonic VA721 17" LCD is a brilliant choice for upgrading your home or small office. This ultra-slim LCD delivers an impressive array of features designed to enhance your work and play while staying within your budget. The space saving 2.2" profile and fold-up base allow you to make the most of your desktop real estate. Youll enjoy brillant colors with the high 300 nit (typ) of brightness, 450:1 contrast ratio (typ). Wide viewing angles and a fast 25ms video response time make this LCD perfect for gaming. Added features like the OSD/power lock and AutoTune&reg; functions maximize and maintain your display settings. The VA721 displays excellent taste while enhancing your entertainment. I recieved this monitor for Christmas in 2004, and I am in love.Both with my husband for buying it and with the monitor itself!Ths colors are SO precise that you can take a photo and put it next the the monitor and it will match! This monitor has great refresh rates and image quality.Definetley worth it.Game play is awesome. This screen is a marvel - outstanding colours, much better than any CRT I've owned - much better than my laptop TFT! The sounds is clear and the foot print is a fraction of a CRT. However like many others (that I've read about elsewhere on the net) its suffered the fade to black to white problem. This is a fault with the build, and appears to be receiving little input from Sony as even replacements are faulty! Buy something else, not this. The Philips 42-inch 42FD9954 TV offers advanced plasma display technology and enhanced audio with a built-in 7-band equalizer--all in a package that's less than 4 inches deep. It has a wide selection of connectivity options, including DVI and VGA (PC) inputs, for all your home theater needs. The HD-ready 42FD9954 also features an anti-reflective screen, a 16:9 widescreen aspect ratio, 1,024 x 1024 pixel resolution, 160-degree viewing angles, and a wall mount. The 42FD9954 features Philips' plasma ALiS (Alternative Lighting of Surfaces) technology, which increases vertical resolution without sacrificing brightness for better picture performance from any source, producing a full 1080i resolution. The high light output of this set--1,000 cd/m2 (candelas per square meter)--delivers exceptional detail even in well-lit rooms. It also has a 1,000:1 contrast ratio for increased picture depth, which results in greater dimensionality and a less washed-out picture. Other features include a 5-level autopicture function (soft, natural, rich, personal, and multimedia), picture-in-picture mode (PIP), tri-mode tint control, and a fanless design for less distraction during quiet film moments. This set has a built-in 181-channel tuner, though you will need an HDTV tuner to receive high-definition broadcasts. The 30-watt RMS stereo speakers (15-watts per channel) offer lifelike sound. The 42FD9954 has a DVI-d input, VGA input, 1 HD component input, 1 SD component input, SVHS input, 2 composite A/V inputs, 1 stereo A/V output, a subwoofer output, and headphone jack. Awsome Plasma. Razor sharp and crystal clear picture. SUperb set. I'd recommend it to everyone. The box says dual component HD inputs. The set has only one set of component inputs. The DVI-D port does not support HDCP so it will not work with any new DVD player and set top boxes with DVI output since most have HDCP protection on them. I bought this from a local store (Fry's), returned it. Philips' tech support is clueless about their own technology. The wonders of outsourcing! I would not buy this TV since it is not "future proof". No DVI-HDCP and no HDMI. DVI input works for PC only. WTF would someone buy an expensice plasma for a computer. This TV is great overall. I am extremely happy with the picture quality when using it under HD. Its absolutely unbeliveable!! The drawback is Time Warner only has about 13 HD channels, everything else is in SD. 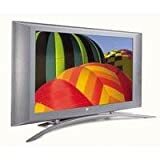 Under a SD signal the TV is an average performer (which is why I gave it 4 stars & not 5). The picture does get grainy and my $300 TV looks much better than this set! But it is still "bearable". I did go down to a local electronics store and do a comparision of this set against the leading brands (under HD signal), and i must say it was just as good or even better than some of those 5K+ TV's out there. Its works great when hooked up to my pc, I did have to go out and get a decent video card with a DVI out. The picture quality is simply great. Bottom Line: Buy it! But just be prepared to be patient until more 'n more programs get broadcast in HD. 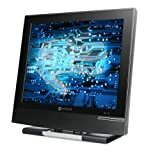 This award-winning LCD monitor combines gorgeous flat-screen resolution with a tiny footprint especially designed with modern workspaces in mind. The Envision EN-5100e is treated with an anti-glare hard coat, making your gorgeous graphics clearly visible even in brightly lit locations. The completely flat 15-inch viewing screen supplies a clearer picture and resolution than older, larger CRT monitors. Standard resolution is 1,024 x 768, with a 250:1 contrast ratio and 0.3-millimeter dot pixel pitch. Together, these specifications guarantee an exceptionally clear picture for games, DVDs, and image processing, along with supremely legible text on standard documents. I have had this monitor for seven months and the screen image has totally faded.I can't see even black words on the screen.I am having to ship the monitor to California at my own expense.I am very disappointed with this product. Loved it for 5 months, now it's dead! 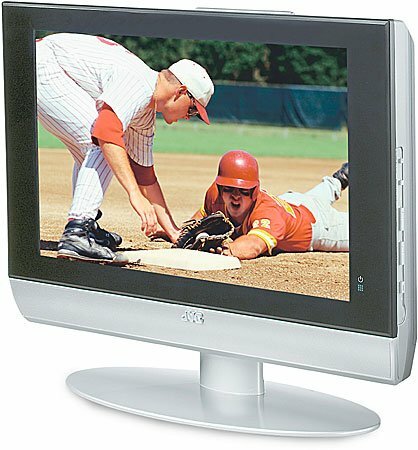 This monitor produced a wonderful picture for the money, for 5 months. Then it went black. Bought it at CompUSA--they don't want to know, because I didn't purchase the... service contract. They will not return calls. So, I'm dealing with the manufacturer and have to ship the unit at my expense to New Jersey for repair. Thank goodness I still had the old monitor around (can't just put it in the dumpster, can we?!!) or I'd be computer-less in the interim. I notice Amazon has discontinued this model--are they on to something? I wouldn't buy this headache again. 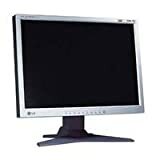 this kind of monitor dont burns your eyes when u works all night on a homework. great price. This was a choice in my gold box or I might not have bought it. I would have been missing out on a very good monitor if I hadn't. 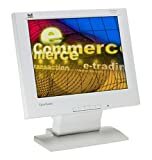 I just bought a new 2.53 gigahertz multi media computer running XP home edition and wanted a monitor with a small footprint but still able to handle graphics intense functions.Set up was a breeze.I just plugged it in and it was recognized at once.While I normally use a 17 inch monitor, I have to say that this 15 inch LCD monitor was easier to read, especially at a distance. 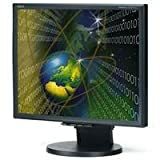 A 20-inch (20.1-inch viewable image) TFT LCD display from NEC/Mitsubishi, the LCD2080UX+ is a sleek and stylish monitor that delivers a high-quality image and a number of useful features. A maximum resolution of 1,600 x 1,200, fast 16 ms response time, and 0.255 mm dot pitch combine with a 400:1 contrast ratio, 250 nits of brightness, and up to 16.7 million colors to provide detailed, true-to-life images suitable for a wide variety of home and professional uses. Slim in Size. Big on Features. 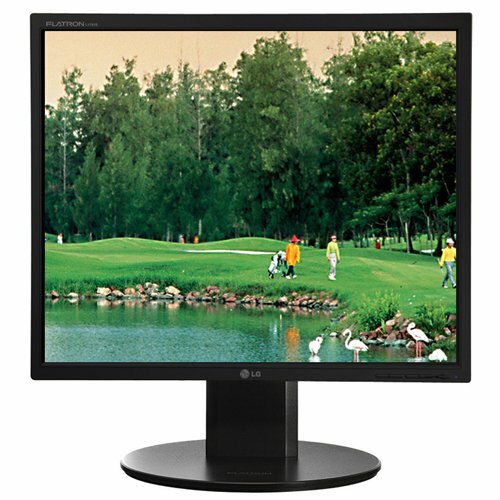 When the affordability and performance are critical considerations, the FP731 is the best choice for a 17 LCD monitor. The FP731 provides great picture quality through D-sub input. And, to meet users needs for clear, sharp picture quality, the FP731 features high brightness and contrast levels, ikey and auto adjustment functions. 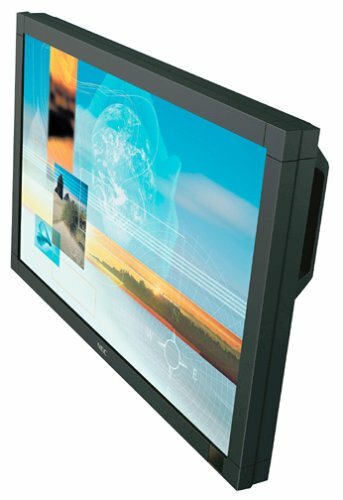 The FP731 can also be used in various environments, from video walls with its VESA wall mounting feature to basic desktop display. Gorgeous clarity and outstanding durability are new best friends, thanks to the AG Neovo E17-A flat screen LCD. The generous 17-inch panel (two full inches larger than the LCD standard) offers exceptional text legibility and crisply defined images, thanks to its 430:1 contrast ratio, 250 nits of brightness, a native resolution of 1,280 x 1,024, and an ultra-fine 0.264 mm dot pitch. Protecting your investment--and keeping images clear under all lighting conditions--is a 3 mm antiglare hardcoat that AG Neovo calls NeoV. Multiple layers and specially formulated hardened optical glass combine to efficiently deflect unwanted light. The slim, boxy black frame has two 2-watt speakers built in, which include a headphone jack so that you can rock out to your heart's content, even in an open-floorplan office. Data transfer occurs via a smoothly reliable analog signal. 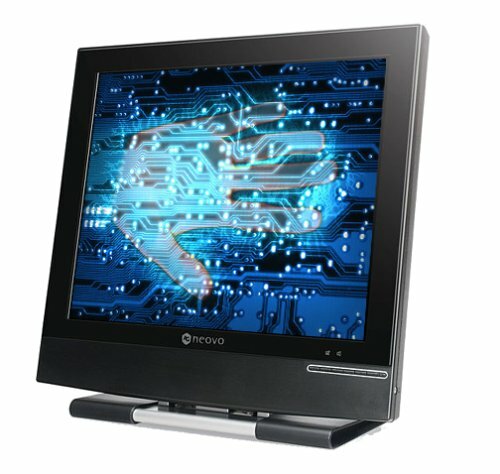 Neovo includes a three-year warranty covering parts, labor, and backlight.